Cover design by Jackie Clackson. Based on St Peter’s vision in Acts 10,1-16. There are many inequalities that divide humankind. Principal among them are: prosperity, race and gender. We live in a world of rich and poor, of higher and lower classes, of men and women. And discrimination springs from prejudice, from a flawed assessment of other people. Prejudice thrives on stereotype and rationalisation. It feeds on wrong interpretations, also the interpretation of scripture texts. 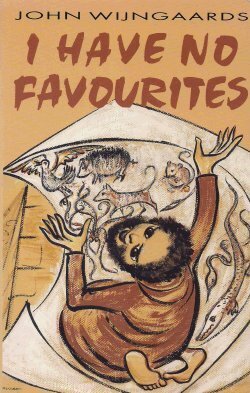 Christian faith professes that God has no favourites, that from God’s point of view there are no distinctions between races, sexes, social ranks or cultural traditions. But, in actual fact, Christians have often tolerated discrimination and have even justified it with quotations from Sacred Scripture. And, in many communities, prejudices still continue. So we decided to create a video course that would meet this challenge head on. We wanted to reveal how a faulty interpretation of the Bible aided and abetted social prejudice against the poor, against racial strangers and against women. The course book (chapters 1-3) reminds us that we cannot serve God and money. For one of the greatest barriers between people is the inequality in wealth. The communities of Jesus’ followers, however, knew that haves and have-nots were equal in God’s sight. And wherever the poor were oppressed, God was on their side. We reconstruct the situation in Corinth. We learn of the enormous social divisions in that city and observe how the Christian community there was trying to bring rich and poor together. Against the background of Graeco-Roman Corinth we also explore the origin of capital formation. We study the economic forces that tend to create a small elite of ‘owners’ and a large population of ‘have-nots’. We reflect on Gospel values that have a bearing on this reality. The Gospel does not contradict sound economic principles, but it does impose obligations of justice and humaneness that have important economic consequences. Jesus does not forbid Zaccheus to remain a tax collector, but demands that Zaccheus become a different kind of tax collector. 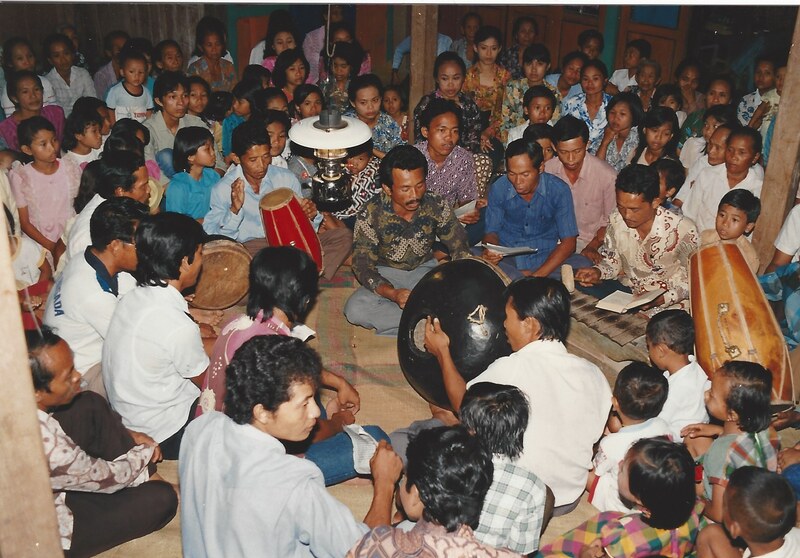 Gospel singing in Catholic village in Indonesia. The story on the video demonstrates the relevance of this topic in a modern parable. We follow what happens to Nurhadi, a village boy who settles in a big city. We get to know his boss, Wong Ha, who is a money lender. Can we wholeheartedly join a capitalist market society and yet be faithful to our Christian convictions? The course book reflects on the origin of ‘social distance’ and how we can bridge it. God does not consider any race or social class superior to another. And in Christ we have all become one. “There is no longer Jew or Greek, free or slave, male or female” (Gal 3,28). But this principle proved hard to put into practice in Corinth on account of the deeply engrained social prejudices of the time. We study the origin of prejudice. We see how it arises from the need of groups to protect their interests, how it is linked to stereotype and generalisation. We reflect on the reality of ‘social distance’ and how this reinforces prejudice. We also consider, as a relevant case study, the deplorable prejudice against the Jewish people, first among the Hellenists, then among Christians. Again we notice the role played by ‘social distance’ and reflect on how only action can bridge the divide. Many people in our society are still handicapped by bias and discrimination. Traces are even visible in the Church. Nothing will change unless we, Christians, learn the skill of bridging social distance at every opportunity that offers itself. 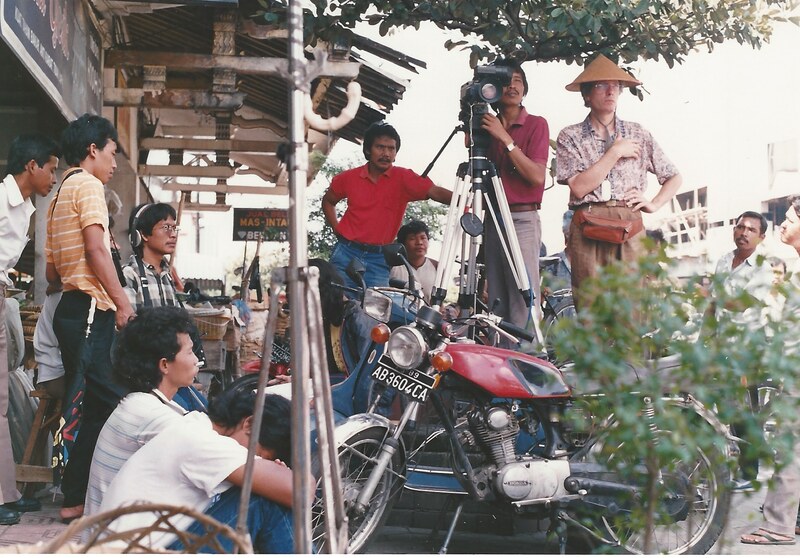 Production team at work in Yogyakarta. The issues involved are forcefully presented on the video in the story filmed in Indonesia. A high-class Christian family on the island of Java wrestles with its bias against tribal Papuas. Images from the UK are interwoven with the story to bring the message home. The course book aims at refuting traditional Christian biases against women. In particular, contrary to medieval convictions, Scripture does not teach that women are subject to men. In this course we trace the origin of the cultural subjection of women in Graeco-Roman times. Women were considered inferior to men by nature, just as some human races were considered fit for slavery by nature. The New Testament message of true equality was revolutionary and daring. The early Christian community had the right vision: of a society where men and women could be truly equal. Unfortunately, as the centuries went by, Christians slid back to pagan ideas. Slavery was tolerated. Other nations were colonised. The Jews were persecuted. Women were denied their rightful place. The course reflects on the reasons for this sad history. We consider how key biblical texts, such as the story of creation and passages in Paul, were used to justify social prejudices. These mistaken interpretations of Scripture are corrected. The way to a new Christian commitment in embracing genuine human equality must begin from a recognition of past errors. 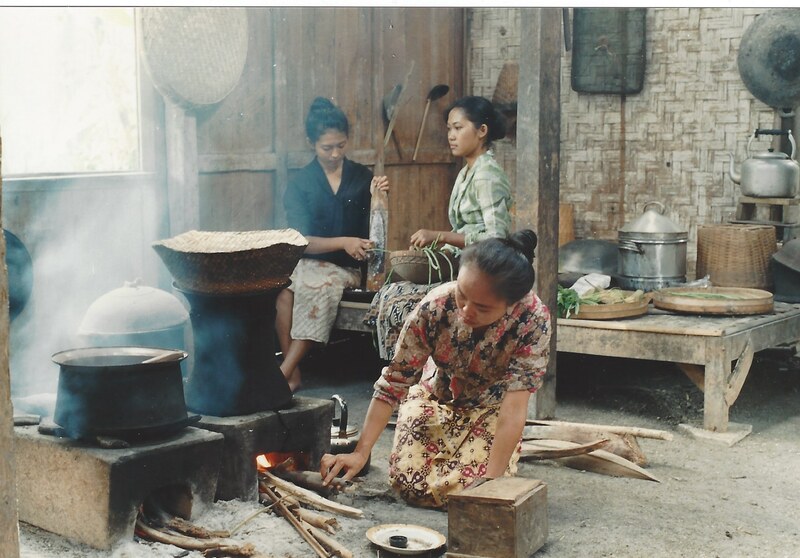 Most women in Indonesia are still captured in cultural roles of submission. The story on the video presents the leadership role of a courageous Indonesian woman who broke with centuries-old tradition to lead her village out of prejudice and poverty. As is the case with our other stories, the story is based on true events. This story was awarded a mention of merit at the Christian Video Market at Driebergen in 1993. On the 13th of November 1992 the course was launched for England in Liverpool. I quote from a press report: “The aims of this course are neatly summed up in the opening words of the course book: ‘We live in a world where people do not get equal chances. While some can spend a fortune on hi-fi stereo and luxury holidays, others struggle to pay for food, a house and decent clothes. Some of us are born black, immigrant, a member of a marginalised group. Doors will be closed in our faces because others do not trust us. If we do not belong to a certain class or race, we are written off as friends — and sometimes as human beings.’ Bishop John Rawsthorne was asked to officially launch the release at Christ’s College last week and his opening speech struck a chord. He drew an ironic parallel concerning the choice of Liverpool, a city he described as ‘deeply racist’, as the location for the premiere. Said the Bishop: ‘I applaud this release for three reasons. Firstly because it is adult. Secondly because it is anti-discrimination and thirdly because it is video.’ Declaring that he was ‘entranced’ by the film, the Bishop gave the ultimate commendation by adding that he would very much like to join a study-group and enjoy the benefits of this presentation.” Greg Murphy, CATHOLIC PICTORIAL, 22 November 1992. Its launch for Scotland took place in Glasgow in January 1993. Archbishop Winning presided. “After viewing ‘I Have No Favourites’ the participants unanimously hailed the production as a breakthrough. Archbishop Winning said: ‘We live in an audio-visual age. Housetop’s set of video courses offers a profound and timely new way of fostering faith. It will help people get to know the Word of God not just academically, but in what it means in everyday terms.’ The latest course ‘I Have No Favourites’ has already won an award at the intemational Christian Video Forum in Driebergen, Holland, in October 1992. But the greatest award, perhaps, was the comment of an elderly person from Cardonald who had just completed the course: ‘I’m sure I’ve not understood everything,’ she said, ‘but I know God has touched me deeply.’ The Catholic press secretary for Scotland’s Episcopal Conference, Fr. Tom Connelly, commented: ‘Young people, middleaged or old, all can learn God’s Word from this and they will enjoy it.’ The SCOTTISH CATHOLIC OBSERVER, Friday January 22, 1993. I HAVE NO FAVOURITES was co-produced in the following 12 languages and 20+ countries: Arabic (the Lebanon), Chinese (Taiwan), Danish, Dutch (Belgium and the Netherlands), English (Australia, Ireland, New Zealand, UK, USA), Hindi, Indonesian, Japanese, Korean, Polish, Portuguese (Brazil) and Spanish (Spain, Central and South America, USA).